Why Do We Do Puja? As the legend goes, Ganesha was beheaded by Shiva when he was on duty under the command of Parvati. The vehement protest and anger by Parvati was the cause of resurrection of Lord Ganesha but with the head of an elephant. One of the first animation films made in India “Bal Ganesha” has made the deity popular among the children also and the children also know the Beej Mantra “Om Gung Ganapathaye Namah”. The elephant headed God, the son of Shiva and Parvati was awarded the first right of worship after his resurrection with the head of an elephant. Therefore, Lord Ganesha has a presence in the “Panchayatan Puja” which consists of the five deities Bramha, Vishnu, Mahesh, Durga and Ganesha. Therefore, every Hindu begins his work in the name of Lord Ganesha by chanting “Om Sri Ganeshaya Namah”. Lord Ganesha is worshipped by Hindus as a supreme god of wisdom, prosperity and good fortune. He is considered a terminator of evils. He is known by various names some examples are Dhoomraketu, Ekadantha, Gajakarnaka, Lambodara, Vignaraja, Gajanana, Vinayaka, Vakratunda, Siddhivinayaka, Surpakarna, Heramba, Skandapurvaja, Kapila, Vigneshwara etc. He rides on Musak (mouse) which represents ego. Lord Ganesha is worshiped everyday and for starting every new work. But, there is a special significance of doing his Puja on the Ganesha Chaturthi day. This year Ganesha Chaturthi falls on 23rd August 2009 and the auspicious time for starting his puja is after 10:00 AM in the morning. The Ganesha Chaturthi day is considered the birthday of the Lord. It is believed that the Lord remains on this earth on this particular day to bestow his presence for all his devotees. This particular day is called Vinayaka Chaturthi or Vinayaka Chavithi in Sanskrit, Kannada, Tamil and Telugu. It is called Chavath in Konkani. This Puja is celebrated as a big community festival in Maharastra, Goa, Karnataka, Andhara Pradesh, parts of Tamil Nadu, Gujarat and western Madhya Pradesh. It is the most important festival of the Konkan belt in India. The Puja begins on Ganesha Chaturthi day and extends for about 10 days up to Anant Chaturdasi. This festival is observed in the lunar month of Bhadrapada Shukla Paksha Chathurthi as per the Hindu Calendar. The corresponding months as per English Calendar may be August or September. The immersion of the idol generally takes place after 10 days which becomes the most important community event in the states named above. The daily Puja of the lord is performed in every household in the Hindu family which is done as a matter of devotion and routine. The presence of Ganesha is solicited on the occasion of marriages and the invitation cards are generally printed with the following Ganesha Mantra. But, the worship of Ganesha becomes a community event during the Ganesha Chaturthi celebrations. The worship of Ganesha was started as a non-community event by Chatrapati Shivaji Maharaj who was the great Maratha ruler. Shivaji Maharaj was always in conflict with Mughal emperors and he wanted to unite the Hindus with the help of Ganesha Puja to promote culture and nationalism. Therefore, Ganesha Puja became important in the Peshwa Empire ruled by Marathas. The Puja transformed into a community event due to the efforts of Lokmanya Tilak (a freedom fighter). Tilak was conscious of the fact that Lord Ganesha had a universal appeal among the Hindus. Ganesha was recognized as a God for everybody. He popularized Ganesha Chaturthi Puja as a Community Puja. His objective was also promotion of nationalistic feelings in masses. This festival was also used as a tool to bridge the gap between Brahmins and Non Brahmins. Tilak wanted to spread the message of freedom struggle through organizations of Ganesha Chaturthi festivals. Another objective was to defy the British rulers who had banned public assemblies. The occasion of Puja was utilized for public assemblies and mass communications and gave Indians a feeling of unity and revived their patriotic spirit and faith. India is free today. But, it is a country of great diversities. Unity is absolutely necessary in this environment of diversity. The country must learn to behave unitedly at the time of strains and stresses. It is necessary to safeguard our freedom. The objective of Lokmanya Tilak is still relevant. 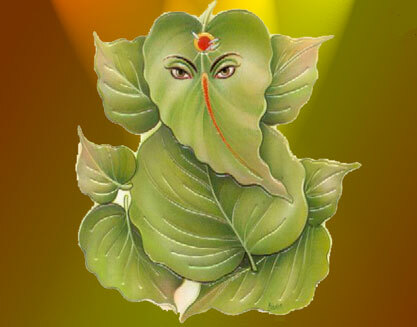 In addition Lord Ganesha remains present amongst us on Ganesha Chaturthi day. Therefore, the worship of Ganesha on this particular day is very significant. In Vedic astrology it is said that for an affliction caused by Ketu the best deity to be propitiated is Lord Ganesha. In the year 2009, Ketu is playing a negative role which has manifested in the rise of Swine Flu. (Please refer to our earlier article “Astrological Aspects of Swine Flu”). The occasion of Ganesha Chaturthi on 23rd August 2009 is a chance to do grah-shanti of Ketu by mass worship of Lord Ganesha. Maharastra has the highest number of Swine Flu deaths. Therefore, Ganesha Chaturthi should be celebrated with faith and devotion in Maharastra and other parts of India where this disease is spreading.